If you’re using PrestaShop to sell online, Orderhive offers you easy tools to automate and centralize order and inventory related tasks. Selling on more than one PrestaShop store? No problem. Sync them in Orderhive to speed up back-end operations. Orderhive will automate your inventory update process, so you don’t lose potential orders. Let say, you make a sale on your PrestaShop store, Orderhive will immediately adjust inventory levels on your store and all other channels you have integrate with Orderhive. After initial sync, Orderhive will auto-import orders as soon as they get placed on your PrestaShop store. Also, changes in order status and shipping information will be pushed to your PrestaShop account in real-time, so you stay updated, always! 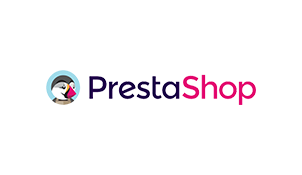 PrestaShop integration will give you a clear visibility of all your inventory and sales data. This will empower you to make better and informed business decisions. With Orderhive, you can easily track your best and worst performing selling channels.